Thanksgiving. What comes to mind when you think of the holiday? For me I think of family, food, being grateful, travel, cool weather, beautiful leaves, cranberry salad. What Thanksgiving tradition ideas do you have? Affiliate links are used. See our disclosure page for more information. If I’m honest, I am a bit torn when it comes to traditions. On one side, you know what to expect, the kids love it and look forward to them, it’s easy to plan. On the other side I don’t like always having to do the same thing. I guess my balance is traditions that are held lightly. Traditions that we can take a year off of or tweak if needed. Traditions that work for our family. 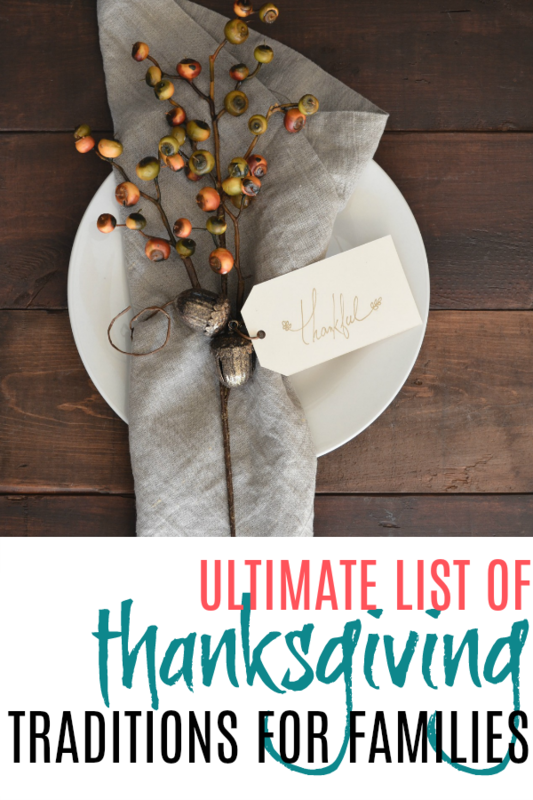 If you are looking to tweak your Thanksgiving traditions or add some new ones, I have a great list of Thanksgiving tradition ideas for your inspiration! Whether you get a cloth table cloth you reuse each year or simply cover your tables with butcher paper, have sharpies, pencils, or crayons available for everyone to write down one thing they were thankful for the past year. If you use the cloth cloth, have everyone initial and put the year next to their item. Gather some sticks and arrange them in a vase to make your Th. Set out a basket with leaves cut out of paper and some yarn. Again have everyone record what they were thankful for the last 12 months and hang on the tree. At some point during the evening someone can read them aloud. Take a moment on Thanksgiving to have everyone write a card (or draw a picture) to let someone know how much you appreciate them. Go around the dinner table and have each person say 1-3 things they are grateful for from the last year. Set out different activity sheets for your kids to work on through out the day. It will help the times of waiting go a little more smoothly. 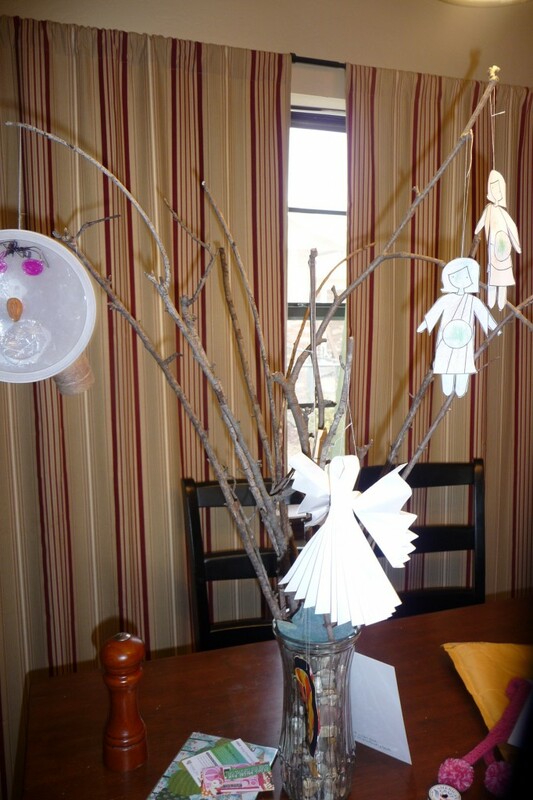 Perfect quiet, not messy activity for when the kids are getting a little rambunctious. Here are some ideas. Take sometime for fun and giggles. Plan a few special games for the kids (and adults even) to enjoy. You can find lots of ideas online! This would be so much fun! Something new and probably nontraditional making an appearance each November. If your Thanksgiving involves multiple families, I think it would be fun to rotate who brings the “surprise” dish each year. Spend a part of your day volunteering. Look around your town for organization that serve Thanksgiving meals and see if they need help. Growing up we volunteered at a local church that served a meal in their facility and delivered meals to people that were working or home bound. We loved it! Spend 30 minutes or even an hour an a stroll around your neighborhood sometime after your meal is eaten and the kitchen is cleaned. As simple as it is, I can remember this happening in my home growing up. Okay, it doesn’t have to be pizza but there’s nothing wrong with not having a turkey dinner. Mix it up an do the traditional feast one year and something completely different the next. Pizza and ice cream always seems like a good option though. 🙂 One year it was just my husband and 2 kids for Thanksgiving and we had fajitas. There are people in the nursing home with no family coming to see them for the holiday. Spend a little bit of time wishing the residents of your local nursing home happy thanksgiving. Have the kids draw pictures to give away. Books are the best. Read aloud a few picture books – even over breakfast in the morning. I’m a fan of Read Aloud Revival, so be sure to check out this post for some great ideas! Have a little fun with a trivia game (and probably learn something while you are at it)! While you are preparing the questions for one year I’d go ahead and make them for the next few years. It won’t take much longer and your can separate out the questions into a list for each year. Check out these lists for some ideas. I’ve only actually done this once, but it was so much fun! Cold and exciting. It was nice to start a day that involves so much food and sitting with some physical exertion. If you live (or travel to) an area with a Thanksgiving morning race, I highly recommend you give it a try. There are just 16 Thanksgiving tradition ideas out of countless options. You can get as creative as you want. I’m curious, what fun Thanksgiving traditions do you have in your family? 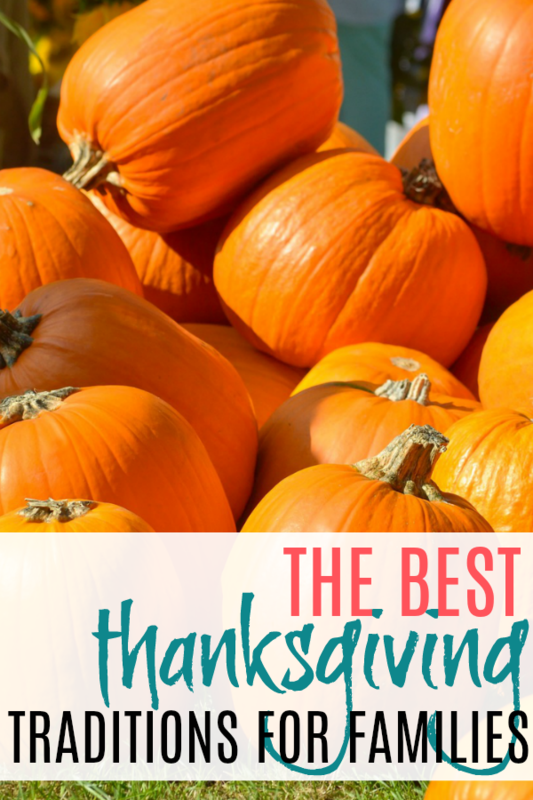 Are you going to try any of these Thanksgiving tradition ideas this year? 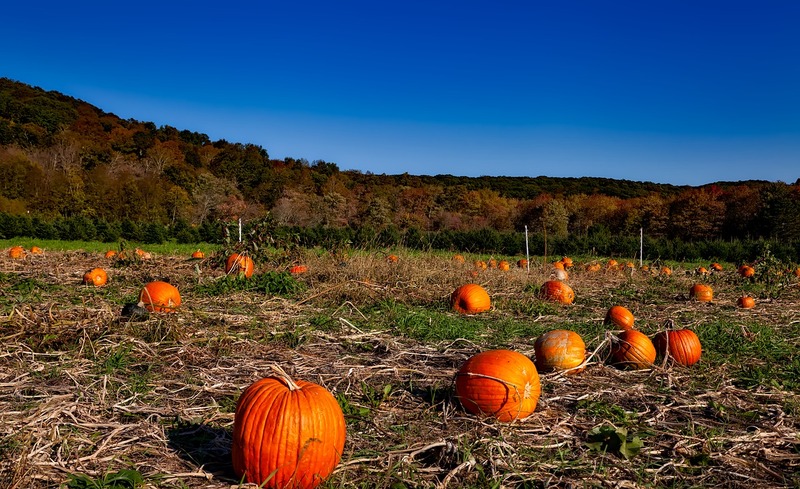 This entry was posted in Family, Holidays on October 11, 2018 by Deanna Michaels. It’s my favorite time of year! 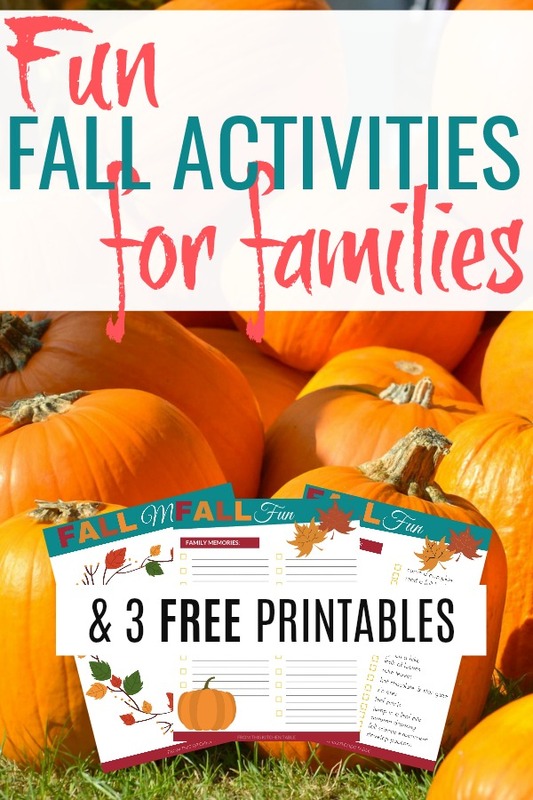 I love all things autumn, including thinking about an exhaustive list of fun (and easy) fall activities for kids – AKA a fall bucket list! Affiliate links are used in this post. See the disclosure page for more info. Fall to me means cool evenings and mornings along with the perfect daytime temperatures. It’s when I can make soups frequently and baking calls my name. The trees paint beautiful pictures. All things pumpkin are celebrated. It just makes me excited. 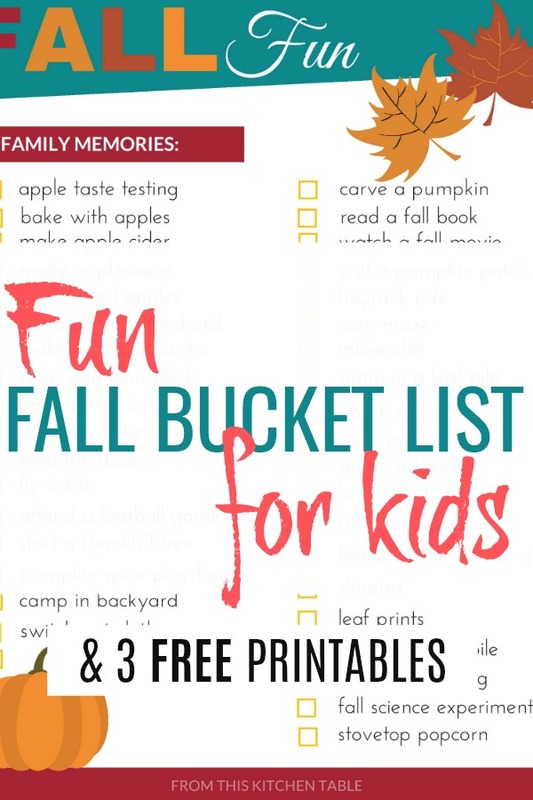 Autumn is also the perfect time of year to purposefully have a little fun and make memories with your children using a fall bucket list. Isn’t it easy to get caught up in to-do lists and the chaos of life? Having a list and plan can help me slow down and enjoy life and my kids more. They don’t even have to be big, expensive things on your list. Take the time to appreciate and get in the moment of even the little things. Your kids will love you for it. If you are overwhelmed at the thought of just one more thing, pick just 4 and do one a week. See if you can turn something you have to do anyway (being in the kitchen) into a fall theme. I’m all about simple, but there is nothing wrong with being elaborate and doing it all. We each need to do what works for our families. Fall themed book. Here’s a great list of picture books. For a chapter book try this one or Read Aloud Revival recommends this one. 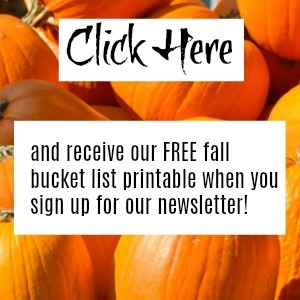 Isn’t the idea of a Fall Bucket List fun?! What have I missed? 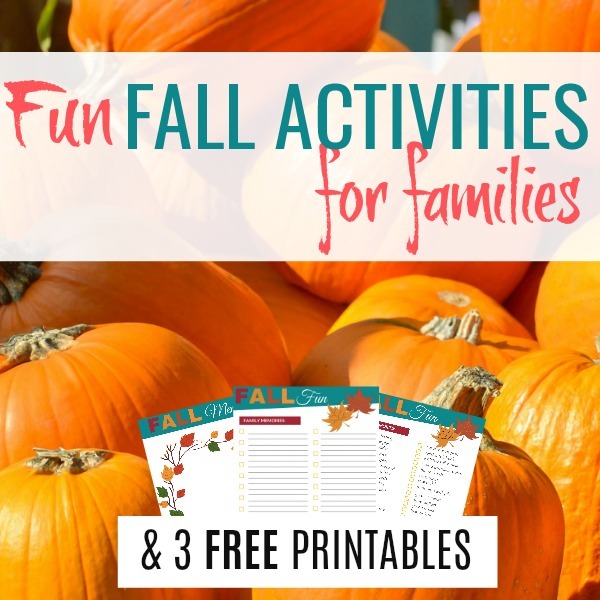 Do you have any favorite fun (maybe even easy and frugal) fall activities for kids I should add to the list? 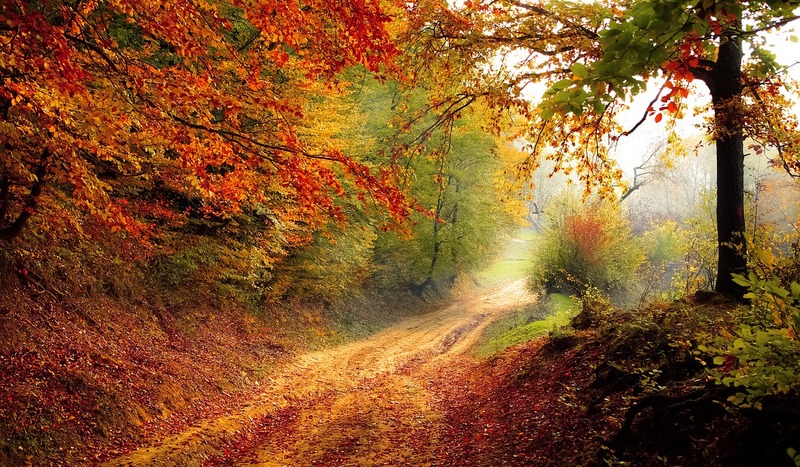 Have you done a fall bucket list before? 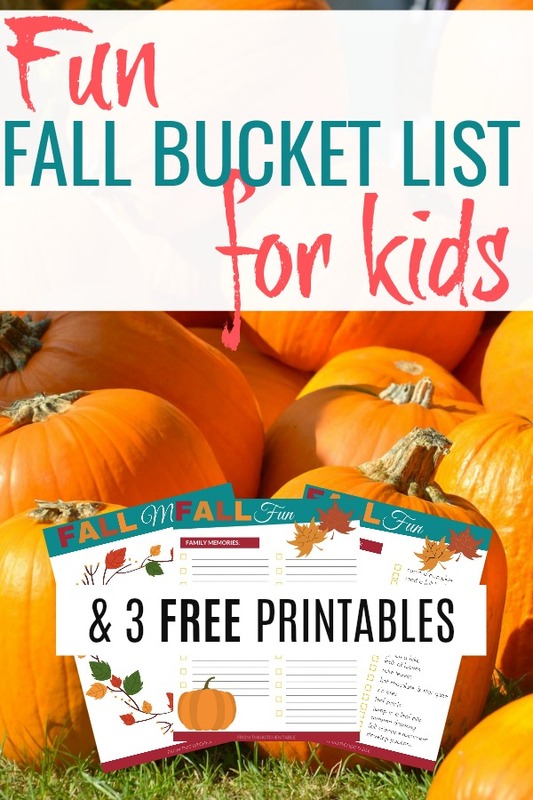 I’ve made a few printables for a fall bucket list in my resource library. 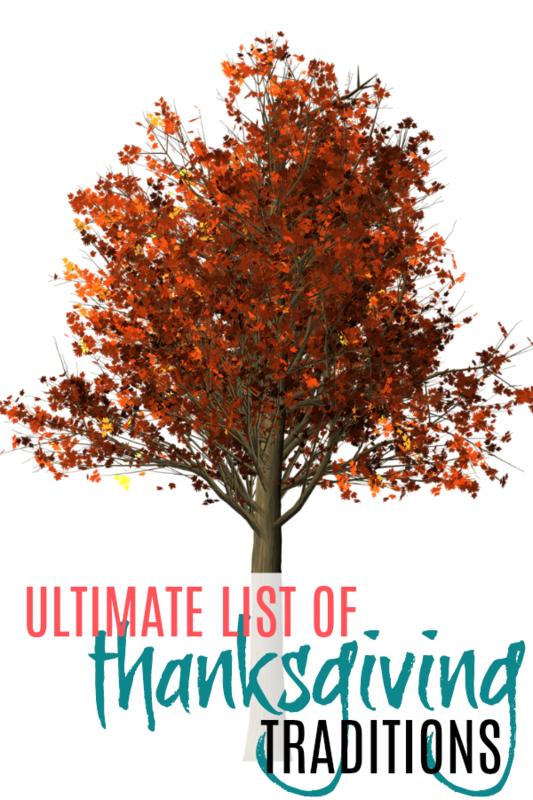 One has every one of these ideas on it and another is blank so you can include exactly what you want – after all, you want to enjoy fall not be stressed out! You can get access to them for free when you sign up for my newsletter! This entry was posted in Family, Holidays on September 18, 2018 by Deanna Michaels. 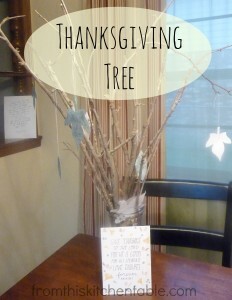 In an effort to avoid having to store (or rebuild every year) my Thanksgiving Tree, I am trying to find ways to re-theme it throughout the year. The past month it’s been on our table bare and I decided it was time to revitalize the tree. Now, it’s become a love tree. The perfect theme for February and leading up to Easter. If you already have a tree, putting this together will be simple – skip ahead to step 2. I’m not a crafty person. 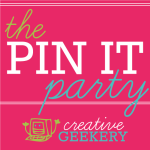 My crafts have to be affordable and fairly easy otherwise they won’t happen. This one meets both of those requirements. 1. Find sticks of varying sizes and arrange them into a vase. Use small rocks or glass pebbles to weight down the vase or else it will topple over on you. 2. Cut hearts of varying sizes out of different color construction paper or card stock. I used pinks and red, but blues, greens, and grays would work too. I have a pdf of 3 different size hearts you can use if you’d like. To access the pdf, click here! 3. Hang the hearts. I used a needle and white thread. 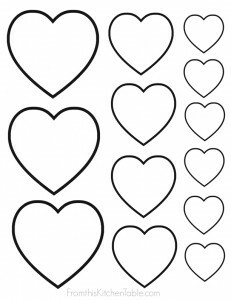 On the large hearts, it would look pretty to use a hole punch and hang it up with ribbon. 4. Between now and when you use your tree for Easter, take time each day to write something/one you love, someone that loves you, a way you showed love or were shown love, or a scripture verse about love on the hearts. Toddlers could color on the hearts or dictate to you. What a great time and memorable way to focus on God’s love for us and the way that He and others show love for us. 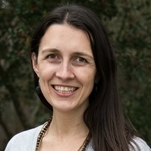 This entry was posted in Valentine's Day on February 11, 2014 by Deanna Michaels. This is the second post on celebrating Valentine’s Day. Today I have some ideas on how to celebrate the day in your family. One of these I looked forward to every year and am excited to do with my daughter this year. That evening before bed, everyone can reveal their secret pal. Even assuming that everyone has already figured it out, it’s still a good time to reminisce and share stories and thanks. This is one of my favorite Valentine’s memories growing up. Each year my mom would come up with a series of clues. She handed us the first clue and off we went. Each clue would lead to a piece of candy with another clue taped onto it. We went to six different places to find our treasures. We didn’t want it to end. Pre-Reading/Toddler: This is actually easier with younger kids. All you have to do is draw a picture to send them on their way. For instance, draw a picture of their toy box. They walk to their toy box and find a piece of candy with a picture of their pillow pet on it. The next piece will be on the pillow pet. You get the idea! Reading Kids: Write a riddle. Here’s where you have to get a little more creative. Adjust the difficulty of the clues based on age. For a little older pre-reading kids you can read the clues aloud. of a visitor you are made aware. Under your pillow, something from me! Another treat of a different kind! Run to the bookshelf to get the last! Be creative. I’m sure you can come up with so many options. Eat by candlelight and turn your normal fare into something special or make a fancy dinner even more over the top. 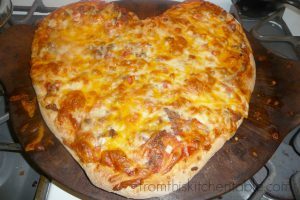 How do you celebrate Valentine’s Day in your house? 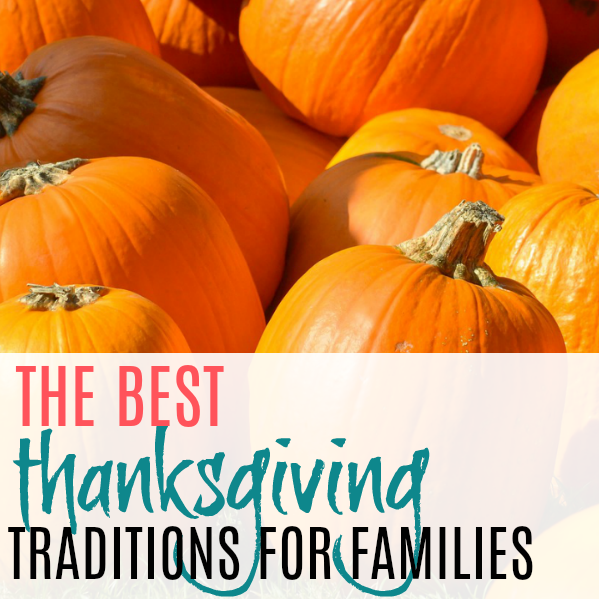 Do you have any of the same traditions you did as a kid? This entry was posted in Valentine's Day on February 6, 2014 by Deanna Michaels. Valentine’s Day. How do we turn this holiday into one of meaning for our children? Today I’m going to share with you ideas to use on the three days leading up to Valentine’s Day. Ideas that your kids will enjoy and that will also make lasting impressions on them. Gather your kids together and tell them that Valentine’s Day is coming up and the next few days you are going to be doing things to help prepare. You can do as many or as few of the ideas as you’d like and can easily adapt for age. These ideas focus on writing and drawing. It could be as simple as drawing hearts or as elaborate as coloring pictures of ways people show love or minister to others. Get the creativity flowing. It could be about images that come to mind on Valentine’s Day or ways love has been shown to you. Maybe a way a parent or grandparent has shown love. How much fun could this be? Older kids could write it out and younger ones can dictate their plot to you. Fiction or non-fiction, this would be something you’d want to keep for when the kids are older. 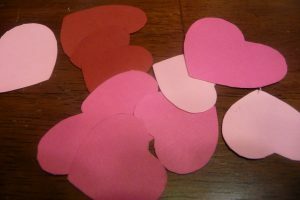 Cut hearts of various sizes out of red, pink, white and whatever other color construction paper or card stock you’d like. On each heart, write names of people you love and those who love you. 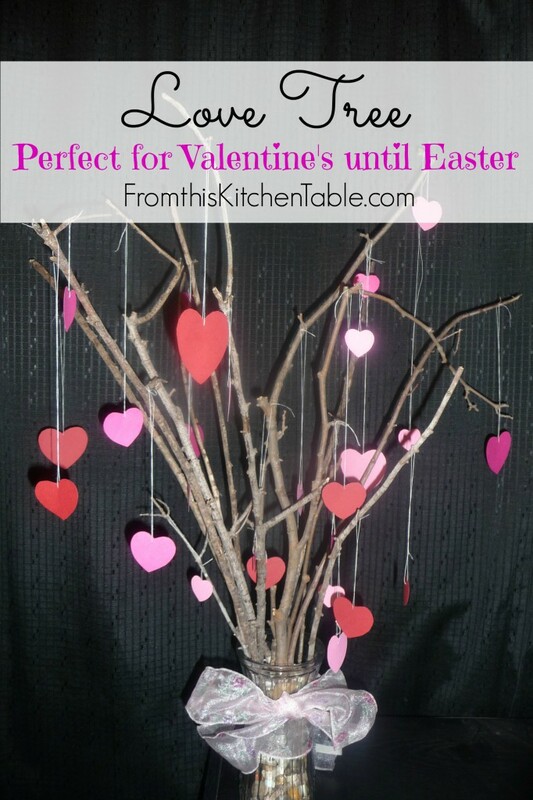 Hang the hearts to the light fixture above your dining room table with string or twine. More on this fun idea coming up! Here we focus on our voice and verbally communicating love to others. Make that phone call to the friend, relative, or individual that your child has been influenced by or who has done kind things for them. The call doesn’t have to be fancy. Keep it simple and if your child feels uncomfortable help them come up with a simple script before hand. They can even rehearse it with you. Or perhaps they can call someone that’s sick and just let them know they are thinking of them and give their love. Maybe there’s a shut it you know or an individual that’s going through a rough time that would appreciate a short visit and maybe a picture drawn or poem written yesterday. Some people we care about live too far away to visit and it can be costly to call. Skype is a great alternative. Set up a date for your child to call the missionary friend that moved to the other side of the equator and let them know they are being thought of. Finally, we are going to do an act of love. This one would take a little bit of advance planning, but would be memorable. If your children are young and your space is limited just have over 1 or 2 widows (this is often a lonely day for them). Plan a basic menu. Cookies and tea or juice that your child helps make would be sufficient. Your child could even draw a picture for each guest. Help your child come up with conversation starters. Make up little goody plates (similar to what we did here). Attach a valentine your child made and and deliver to widows, widowers, friends, and others that could use the encouragement. Your child can carry the plate, ring the door bell, say Happy Valentine’s Day, and give a hug. Depending on age, you can watch from the car. Your child can do some extra chores and collect their change. You can make a donation online or in person to an organization that helps care for and love others. Have your child pick out a toy and donate it to a pregnancy center, shelter, or any where else that could use it. 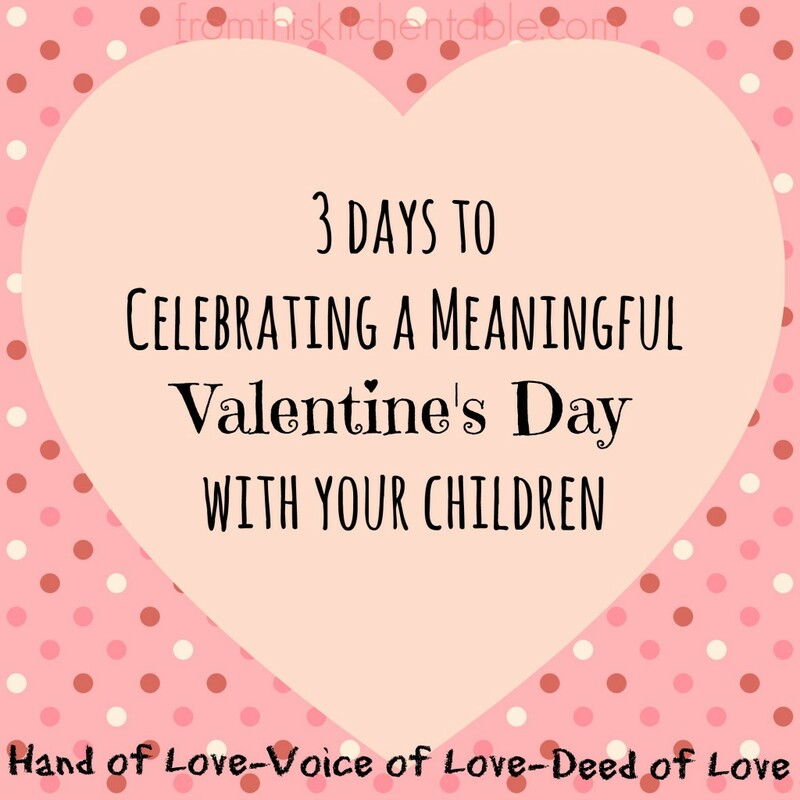 How do you make Valentine’s Day meaningful for your children? 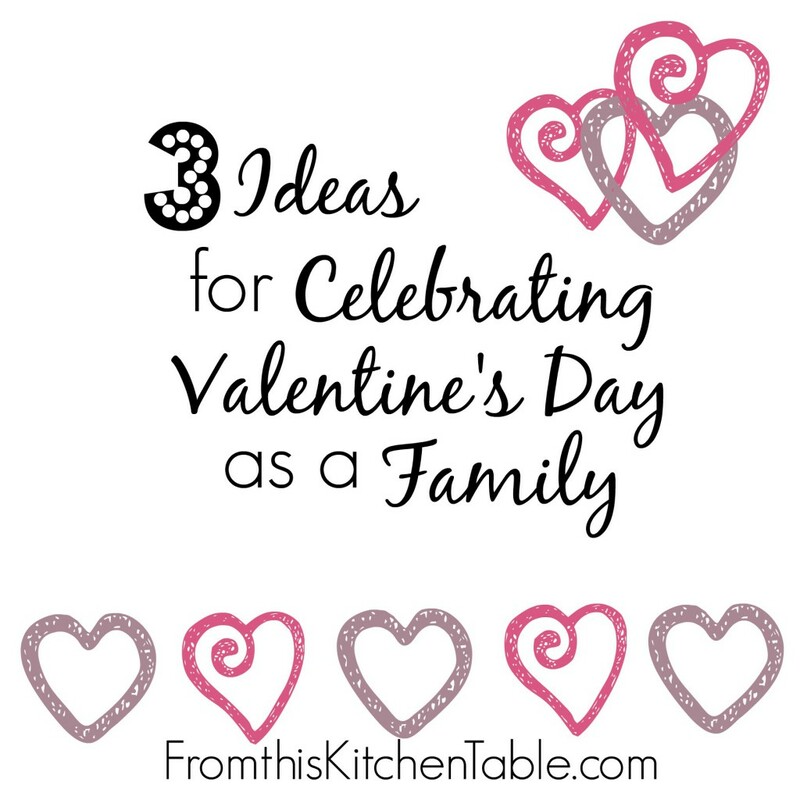 Come back Thursday for ideas on how to celebrate the actual Valentine’s Day in your home with your children! This entry was posted in Valentine's Day on February 4, 2014 by Deanna Michaels. Valentine’s Day is just around the corner. Now is the time to start coming up with ideas and making plans otherwise we’ll find it sneaking up on us. Some of us might spend a night on the town with our love and others might have a quiet evening at home. Maybe it’s because money is tight and there isn’t anything extra in the budget for a meal out or baby-sitter for the kids. Maybe it’s just simpler and more enjoyable to stay home. That doesn’t mean it can’t be fun! Whatever the reason, I have the perfect thing to making your evening at home a little more special. 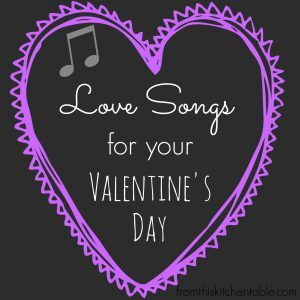 I have a valentine’s playlist for you (and an idea for how to turn it into a gift). Perfect background music for eating your late supper after the little kids are put to bed, to visit and play games by over dessert, or to snuggle up on the couch in front of the fire place and chat by. To be honest, I know little about music. The radio is on when we are driving in the car and that’s about it. Don’t worry, I didn’t come up with this list. My husband did and he is a music person. Maybe a little more than just a music person. He might verge on being a music hoarder. With probably over 1500 CDs in his collection (and he’s recently gotten rid of several) and having worked in radio for years, he knows what he’s talking about. 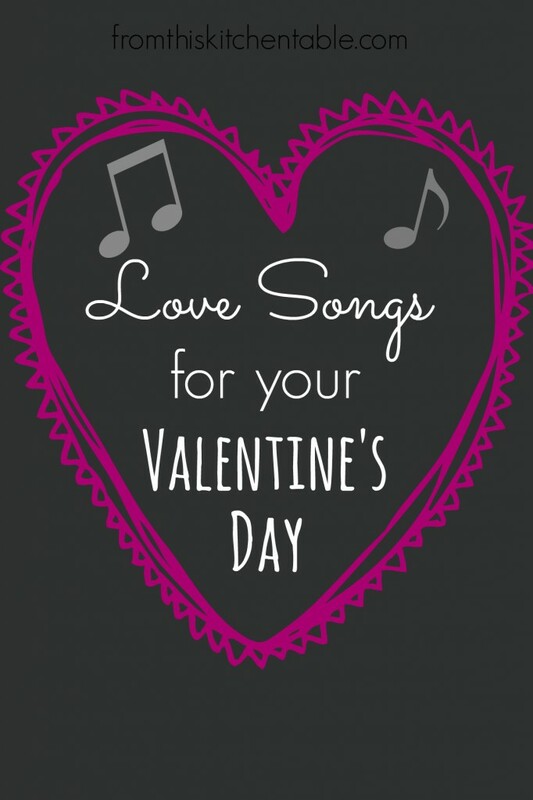 You could actually turn this (or a playlist of your favorite love songs) into a personalized gift. While we were dating, my husband compiled a CD of love songs and had a letter to go with it saying what each song was and how it reminded him of me and our relationship. It was pretty sweet and we still have it after being married 7 1/2 years. At My Most Beautiful – R.E.M. This entry was posted in Valentine's Day on January 30, 2014 by Deanna Michaels.